Relish the memory. : My Orange-infused Christmas. 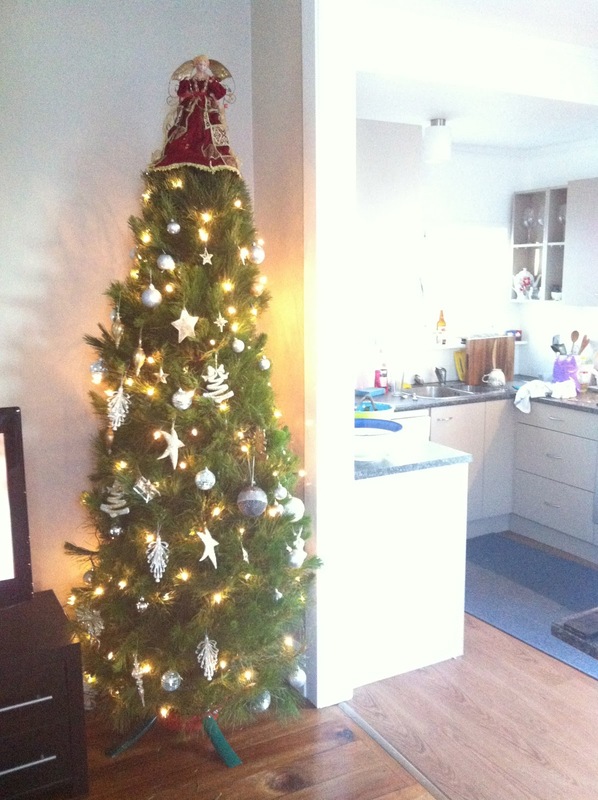 The culinary festivities of Christmas make for one indulgent month and thus far have appeared to keep me rather busy! I think its the amalgamation of tradition, seasonality and sheer enjoyment that mean food at this time of year is even more delightful. Trees & Kitchens. Essential ingredients for the tastiest Christmas. Decoration c/o AG & LL. 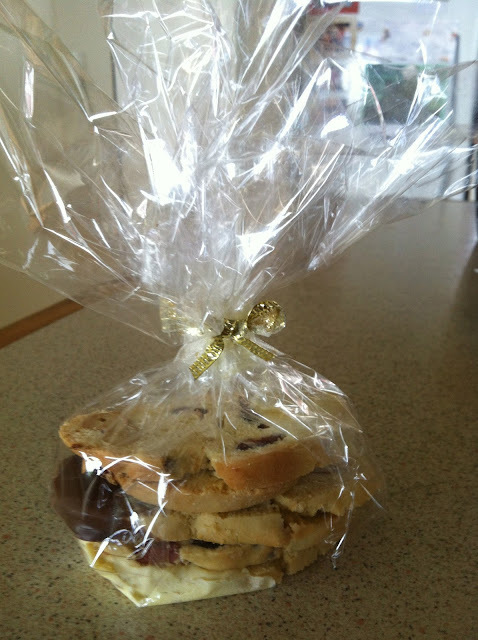 Living up to the name my two and a half year old nephew gave me, ‘Aunty Cake’ has been busy this Christmas. Almost six years ago I found myself spending my summers where I feel most at home- in the kitchen. With one legendary recipe in tow and a desire to bake til my heart was content. I started with an oh-so-original business name: Kate’s Christmas Cakes. 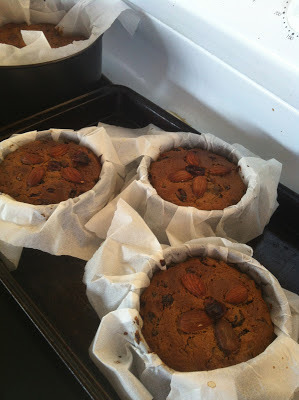 Being young and much preferring chocolate over a fruit cake, I made sure I choose a recipe that I actually liked. 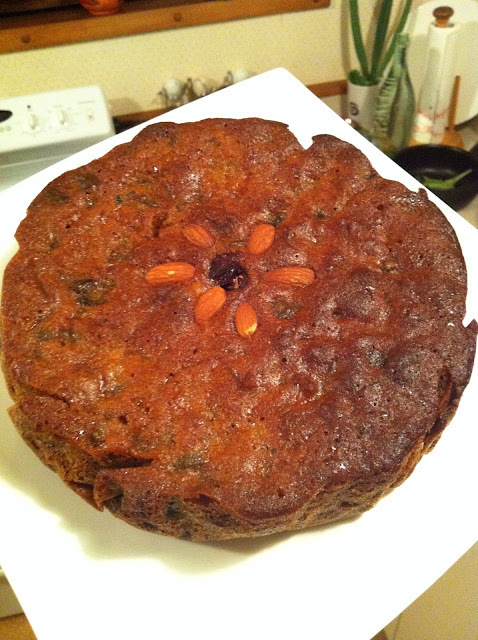 So I discovered a delectable orange-infused Christmas Cake recipe. It was moist, packed full of flavour and most importantly delicious. It was a joint venture to start, as my father provided the clientele and I provided the goods. His honorary clients were treated with a hand-made orange-infused specialty cake for Christmas. I continued this trend for my summers throughout school – utilising the free power (the perks of being a youth at home) and collecting my pennies as every cake waltzed out the door. Each was hand-wrapped and ribboned with a personalised message in tow. Getting crafty with the timing at my prime I managed to churn out ten a day. With such fond memories and engraved memorisation of this recipe - every year I look forward to the wonderful warming scent as the orange, mixed fruit, brown sugar and pure butter mix bubble away on the stove. I used to replace the glace cherries with dried apricots and prunes, but now I simply roll with the reindeer and keep the reds and greens in their rightful place. That way the recipient can consume or remove as they so wish. Reflecting the state of the current economy this year I opted for the smaller-mini cakes, which meant I could gift them to a few more lucky souls. Hand-made & wrapped with joy. My second culinary Christmas gift was the classic Italian Biscotti. These twice-baked treats originated from the city of Prato, Italy and my version were studded with cranberries, almonds, cashews and orange zest. Perfect as a tea dunker or coffee companion and better on your waistline than other sugary treats. But its Christmas after all so I dipped a few odds and ends in a variety of white, milk and dark chocolate and shared the joy accordingly. 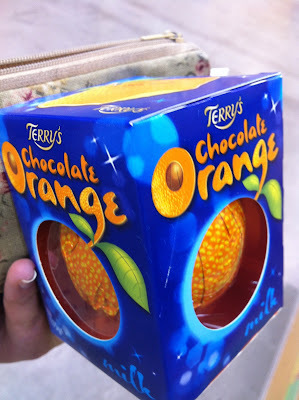 Another orange-chocolate delight that screams Christmas are the conspicuous and almost secretive Terry's Chocolate Oranges. 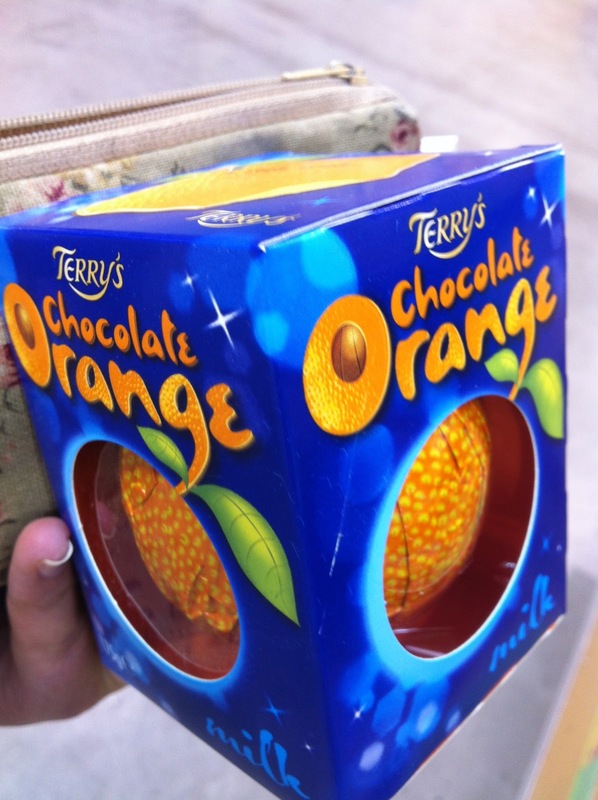 These bright blue boxes complete with a perfect sphere of orange-chocolate segments are well worth the hunt at your supermarket. The combination of chocolate and orange is one I have definitely learned to appreciate since devouring this cheeky number. Seek & you shall find me. Note: The silly season got the better of me and I managed to leave my camera charger out of reach. Hence photos being c/o an i-phone.